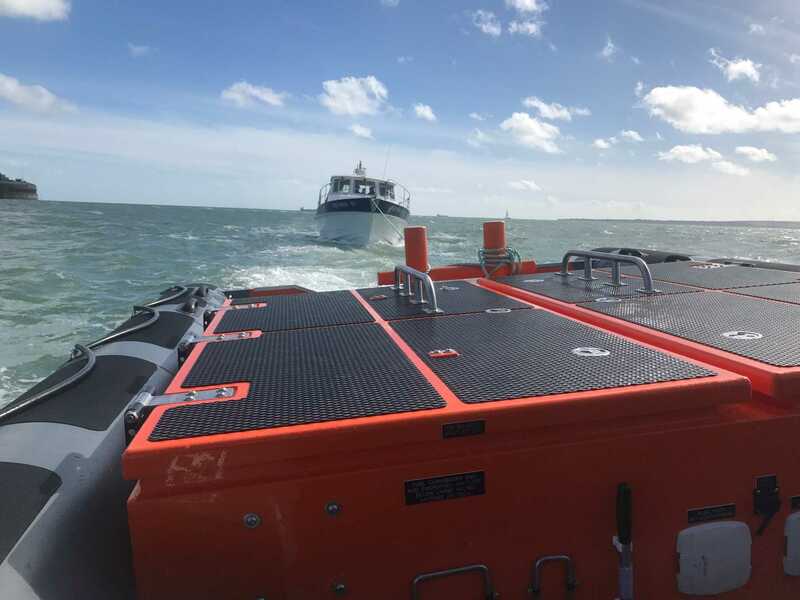 Rescuers were launched by UK Coastguard on Tuesday lunchtime to assist a 10-metre cabin cruiser dangerously adrift near Portsmouth. The pleasure craft, which had four people on board, had suffered engine failure near Horse Sand Fort and was drifting in the main shipping channel. Gosport & Fareham Inshore Rescue Service (GAFIRS) was paged at 1pm by the Coastguard and its volunteer crew quickly located the casualty vessel. 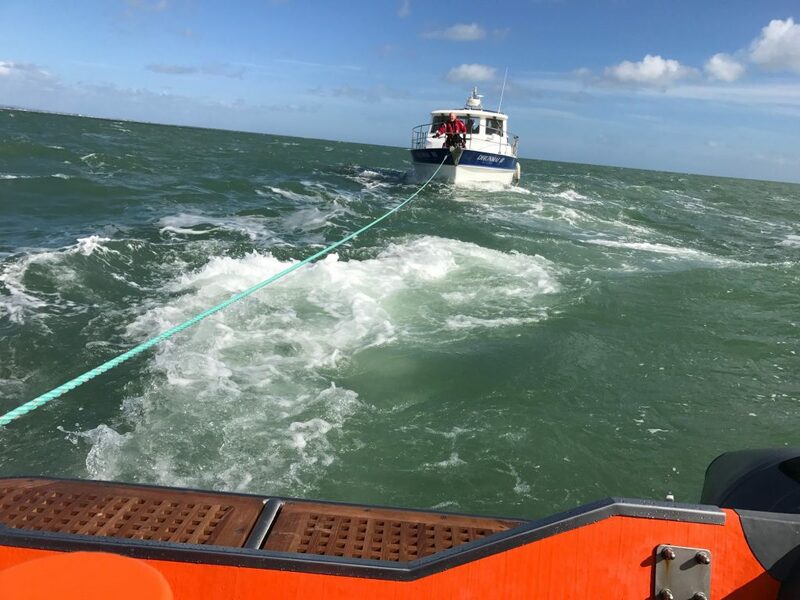 Gosport independent lifeboat coxswain Brian Pack said: ‘We soon located the stricken vessel, which was drifting near much larger craft and placed a crewman on board. 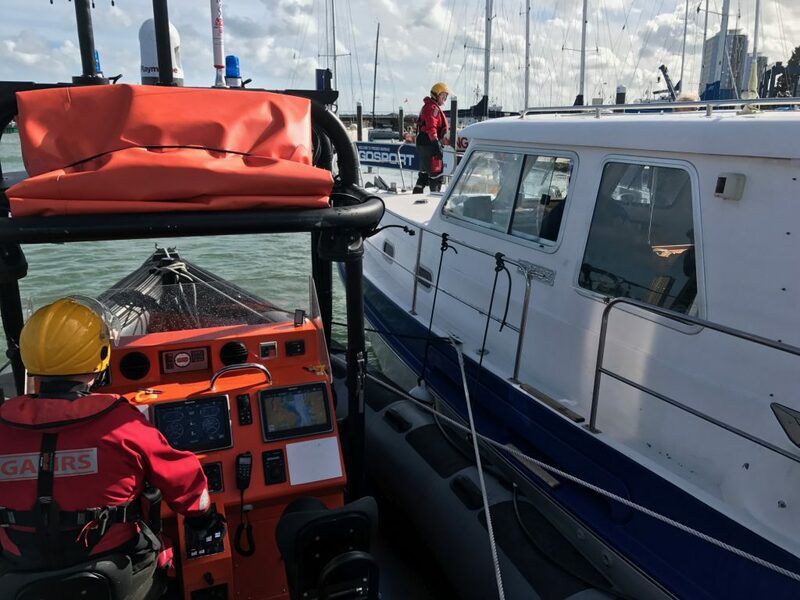 GAFIRS towed the boat to Gosport Marina where it was placed safely alongside with the help of Hillhead Mobile Coastguard team. In total the operation lasted just over two hours and was the service’s 13th incident of the year. GAFIRS is an independent lifeboat station based at Stokes Bay Gosport, run entirely by volunteers, on call to the Coastguard 24 hours a day, 365 days a year.